Want to know more about the APA? Click here to e-mail the editor. Point of Divergence is an amateur press association devoted to Alternate History. What does that mean? Basically a group of people from around the world write stories and articles about alternate history. They make 20 copies of those articles and send them to one of the members of the group (the editor), where the contributions are collated and bound. The resulting "distribution" is sent out to the contributors. 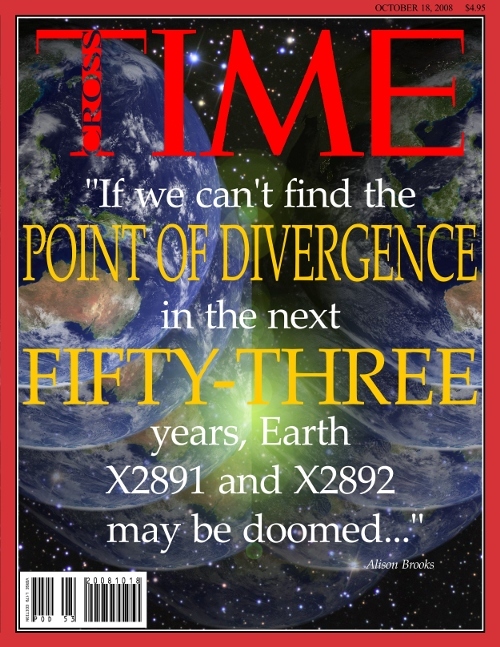 Point of Divergence is over ten years old and we've produced over 50 distributions so far. Distributions can be anything from a hundred to several hundred pages, depending on how much the contributors write in a period. This is a combination "Do it yourself magazine" and writers' workshop for alternate history writers. You have to contribute at least two pages every other issue in order to maintain your membership. Unfortunately we can't let people just subscribe without contributing because the economics of that just don't work. If you're an aspiring alternate history writer you may want to check POD out. It's a good source for knowledgable comments, discussion and critique, with perspectives on alternate history from all over the world. To get started, take a look at some of the member websites to see if you're interested in the sorts of things we discuss. If you like what you see, e-mail the editor and see if there is currently a spot open in the roster. POD is very open to new people, especially writers of alternate history fiction. Click to send me email about Point of Divergence. Click here if you want me to let you know when a new issue comes out.